By Jason Davis – WASHINGTON, DC (Mar 27, 2019) US Soccer Players - Let’s call the first month of MLS the “extended preseason”. Sure, the results counted for actual points in the standings. Still, as is so often the case in March, nothing quite seems resolved. There's a limit to what we can actually claim to know about any of the 24 MLS teams. What we don’t know is still vast. Even the best teams in the league so far, and we’re looking at you, Seattle, LAFC, and DC United, can't claim to know exactly who they are yet. A few wins in March doesn’t a full dossier make. That’s especially true when there are still clubs conducting business during the primary transfer window and when a handful of clubs are in long season-opening road trips. Serendipity has already played a healthy role in the records to this point. 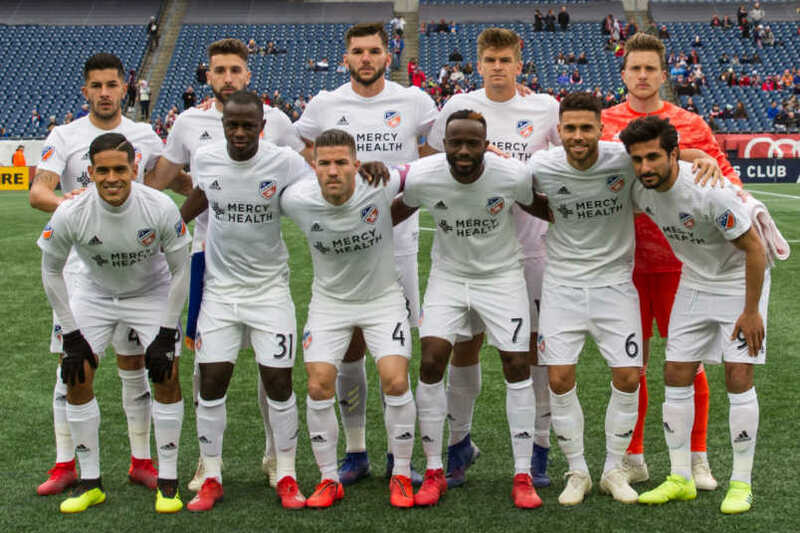 Apologies to all of the FC Cincinnati fans dreaming of a trip to the playoffs in the club’s first top-flight season, but FCC’s early returns are likely as much a function of good timing as the quality of the side. The new kids caught Atlanta in the midst of a rough transition to a new system and dealing with schedule congestion because of the Concacaf Champions League. They beat a Timbers team in Cincinnati that didn’t have its midfield anchor and won’t play at home until June. Sunday’s victory against New England came against the backdrop of dysfunction in Foxborough. That doesn’t mean FC Cincinnati isn’t good. It doesn't mean that they can't make the playoffs in the newly enlarged postseason. It does mean it’s too early to draw any big conclusions about Alan Koch’s team. What we think we know now will look ridiculous is as little as a few months. It’s a lesson we learn every season. Atlanta is another example of a club that deserves that time. It makes sense that anything other than a fast start would ring alarm bells for the defending champions. A failure to win two league home games and the apparent difficulty adjusting to Frank de Boer’s system of play has people wondering if United is due for a 2018 Toronto FC-style crash this season. The talent available to Atlanta will carry the team through. Expectations as high as those in Atlanta are fairly new in MLS. It's certainly conceivable that the United brain trust will face a difficult question about de Boer if the results don’t improve. However, over the course of 34 games Atlanta is more than good enough to make the playoffs and have a shot at defending the title. For clubs that lack the reservoir of talent available to Atlanta and can’t point to last year’s success as a reason to remain calm, things aren’t clear. It’s probably not fair to definitively evaluate Matias Almeyda’s San Jose Earthquakes team, even though the roster is essentially unchanged from the one that finished dead last in 2018. Then there are the clubs that carried over coaches appointed midway through the 2018 but have overhauled the mix of players for the new year. Case in point is Orlando City, a team that didn’t look competent for most of last season. James O’Connor wasn’t able to salvage the season and push the Lions to the playoffs. He has another chance this season a chance to bring the team in 2019 with a revitalized group. The early results weren’t good. The Lions needed a comeback to earn a draw at home against NYCFC to open the schedule. They shipped a late goal in Chicago to drop two points from a winning position. Montreal visited Central Florida and tore Orlando apart on the counter, handing the Lions a crushing 3-1 loss. It wasn’t until Saturday’s win over the Red Bulls at Red Bull Arena that Orlando looked capable of reversing course. One game proves very little. That said, there were enough positives from the performance against the defending Supporters' Shield winners that Lions fans can now imagine a turnaround that leads to success in 2019. Remember, seven teams in each conference will get into the playoff field this season. Playoffs matches will be fraught and dramatic with an all-knockout format, but the regular season itself will be the most forgiving in league history. It might be a safe assumption that clubs will wait out a poor run of form because of the playoff safety net rather than cut a coach loose at the first or second sign of trouble. After a record number of coaching changes in 2018 (helped by the voluntary departures of Patrick Vieira and Jesse Marsch), 2019 figures to be a return to normalcy. We also have to keep in mind the unfinished nature of the teams we’re trying to judge before March is even over. The primary transfer window stays open until May 7, giving clubs plenty of time to sign reinforcements between now and the tenth week of the regular season. No technical staff will want to leave completing their roster that long. Most teams will have committed most of their available budget by that point. It's still possible that a handful of clubs will look very different come May than they do now. May is too late to be making decisions about the good, bad, and mediocre, but the timing of the transfer window is important to keep in mind. If there’s a good candidate for the week things get a lot more real, it might be this one. The international break dictated a light 5-game schedule this past weekend. All 24 teams will be in action between Friday and Monday of Week 5. New arrivals will get their first taste of MLS this weekend. NYCFC has added Heber, a Brazilian striker to help with the scoring load. Toronto FC will have Alejandro Pozuelo available after his long-awaited arrival from Belgium. There’s a small chance that Nicolas Gaitan will have his international transfer certificate settled in time for the Argentinean to feature for Chicago against the Red Bulls. Those players aren’t depth additions or bit players. Each one is a major boost for their team, playing a central role in the attack. Toronto has two wins from two matches so far in 2019 but won’t be a full version of themselves until Pozuelo is available and Jozy Altidore is back in the starting lineup. Both of those things could happen Friday when Toronto hosts NYCFC. For the visitors, adding Heber will put a quality goalscorer at the front of the formation for the first time this year. Most of what we know about NYCFC will need revising. We're waiting on how Dome Torrent deploys his new signing and how Heber affects the balance of the team. The games counted, but the results of the first three weeks of March don’t tell us much. The results of the last week of March might not tell us much, either, but we’re getting closer to some fair judgments.